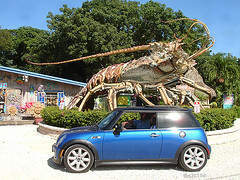 MINI Mania is offering Chicago MINI Motoring Club members a special after holiday discount!! 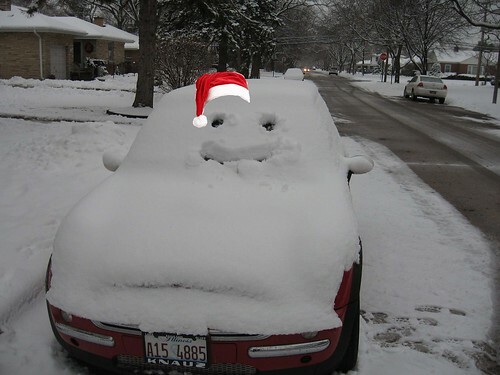 This is the perfect time to pick up a few extras that Santa may have forgotten. Good now until Friday January 6th. MINI of Chicago is asking and we’re putting it out here. Who would be interested in doing a track day at Gingerman Raceway in 2012? ?No idea about prices, dates, required equipment, etc. 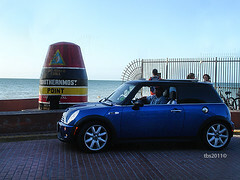 ?I believe they are looking to see if there is a large enough group of people to make it?possible..
Club members Tracy and Jim recently took a MINI two week vacation down to Key West Florida to visit the southern-most point in the continental United States..
Where are you planning on going in your MINI this coming year? 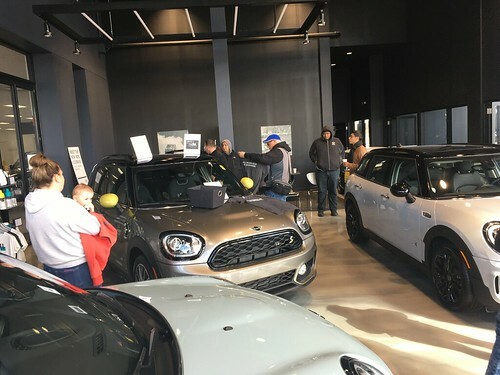 MINI of Chicago has offered Chicago MINI Motoring Club members a 15% discount on Parts, Labor, and Accessories!! Flash your valid CMMC membership card to get the discount. Yet one more great reason to be part of the Chicago MINI Motoring Club!! Huge thanks to MINI of Chicago for offering this discount to our club. WRAPUP: Over 25 MINIs (and a few non-MINIs) filled the streets outside Taylors home. Inside there were plenty of eats, drinks, snacks, and desserts. Lots of conversation and visiting and some cool raffle prizes including gift certificates from Cravenspeed. A really great way to wrap up the MINI season.. Huge thanks again to Taylor for hosting such a great party, and to everyone who came out to share a wonderful afternoon and evening. Our anual Club holiday party will be on Sunday December 11th, and will again be hosted at club member Taylor’s house in Deerfield. Motoring Alliance Calendar Group Buy? Checking to see if anyone is interested in a Motoring Alliance Calendar Group buy..
What could be more fun that a dozen MINIs hanging on your wall for 2012. Price for a total quantity of up to 5 is $12 each prior to December 4th, and we can get a price break if we are over that..
We would need to ship to one address and work out individual delivery after that..
Add a comment if you are interested before December 4th..